Does your drywall or sheet rock have repairs that need to be made before you start painting? 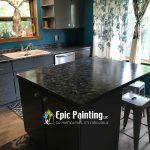 The reality tied to an amazing residential or commercial painting project is this: to successfully complete any painting or finish job you have to start with preparation of the surface at hand. No steps are missed and the Epic Painting team are experts in drywall repair and installation. Let's face it, home life is hard on walls; from kids’ games to furniture movers, there are a million ways to dent, gouge, crack, and put holes through plaster and drywall. Time is another significant deteriorating factor. In addition, water leaks and minor house fires can leave these surfaces in serious need of repair. I bet you didn't know nearby sources of vibration, such as highways, train lines or blasting, can rattle walls and crack them over time. Last but not least, newer houses can shift and settle due to seasonally expanding and contracting soil, often causing diagonal cracks in drywall and plaster. This is even more apparent in the Madison, WI climate which as we all know, is very unpredictable. 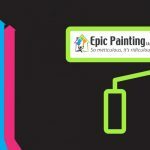 Epic Painting LLC of Madison makes it simple, our experts specialize in repairing the harm and restoring a uniform surface on interior walls, including matching existing textures of course colors. Through our mastered repair process, techniques, and the finest plaster and drywall compounds, we can recreate a seamless surface so that, after painting, the previously damaged spots are indistinguishable from the rest of the wall. Meticulous! 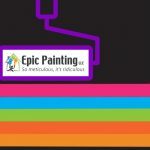 WHY TRUST IN EPIC PAINTING FOR YOUR DRYWALL & PLASTER REPAIR NEEDS? 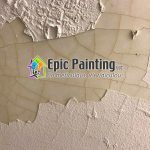 If you don’t want to notice the damages, drywall and plaster repairs are best left to professionals and this is exactly why you will benefit from the services of Madison's Most Recommended Painting Company...Epic Painting LLC. With more than 10 years of experience we have the skill set needed to handle all of your interior drywall and plaster repairs without incident and offer unblemished results that will be indiscernible from the rest of your wall. Our goal is to see your smile upon project completion, your home’s interior attractiveness is a must, and you can only do that if you have any damages repaired and color-matched by an experienced professional. A little goes a long way! All of us at Epic Painting of Madison are dedicated to working with you and we will find a solution that meets your Drywall or Plaster repair needs. A lot that goes into drywall – sheetrock repair, including having all the correct tools, experience and materials to do the job correctly. 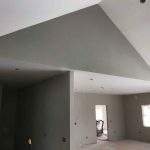 Your satisfaction is what's important to us and our professional drywall technicians will work with you to insure success throughout the project from start to finish.